So where have I been? I can't believe February is more than half over! I've been busy working on new designs and dyeing up a storm. I have lots of fibery news to share later, but for now I'd like to share something I got to do a couple of weeks ago. 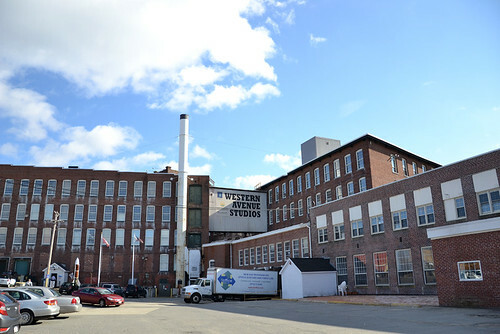 Last summer, I visited the Western Avenue Studios in Lowell for the first time. 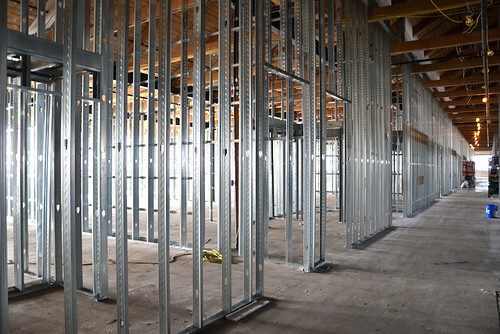 This year, they are expanding to include live-in studios!! 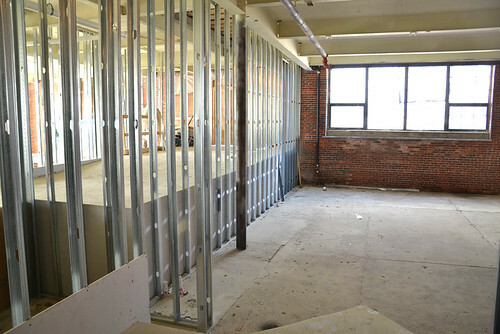 I got invited to tour the new building, which is still being renovated. 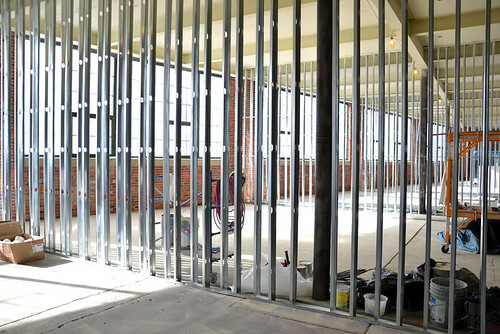 These units will have huge windows and beautiful sunlight when they're done. The building is near the Lowell Commuter Rail stop and it's open only to artists, so living there means you get to be part of a great arts community. I would love to live there if, you know, we didn't own a house elsewhere. But if you want more information, you can visit their website. Toil & Trouble at Magpie!